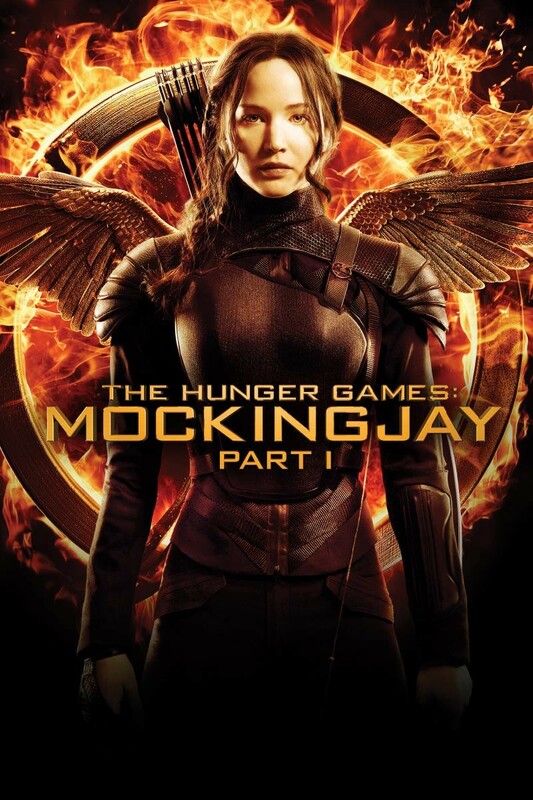 In anticipation of The Hunger Games: Mockingjay Part 2 which will be released later this week, Adoption at the Movies is taking a look at The Hunger Games: Mockingjay Part 1. Come back soon for a review of the sequel! After being rescued from the Hunger Games arena, Katniss Everdeen recuperates in District 13, the headquarters of the rebellion against the oppressive government of President Snow. The leader of District 13, President Coin, has asked Katniss to serve as the symbol for their revolution. Katniss initially declines because District 13 failed to rescue her dear friend Peeta, another combatant in the Hunger Games. However, when she realizes that the oppressive government has captured Peeta and is using him for propaganda, she agrees to be the figurehead that will rally the rebellion, so long as Peeta is spared. 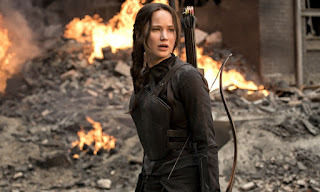 Katniss also returns to her former home, and sees that it has been destroyed. People wrongly believed that Katniss had been pregnant. Rather than correcting their misconception, she tells them that she lost her baby. Katniss is brave and loyal. District 13 initially accepts Katniss, and some kids who have been through foster care might initially see President Coin as an analogue for a kind foster parent given how warmly and understandingly she greets Katniss. However, she makes it clear that Katniss’ welcome into their lives is conditional; if she does not do what they want, she will not be held in esteem, and her friends will be allowed to die. It would be possible for a viewer to leave this film resonating with the fact that the government destroyed Katniss’ home and separated her from her family. 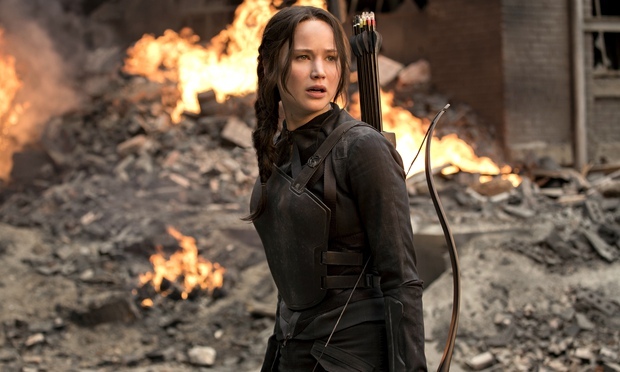 A lot of destruction in this film – and the bombing of a hospital – could upset viewers who have experienced trauma, as could a scene where a trusted friend unexpectedly chokes Katniss into unconsciousness. 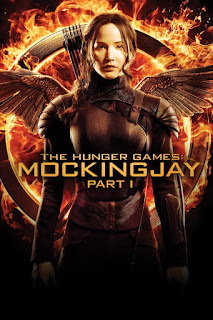 The Hunger Games: Mockingjay Part 1 is engrossing and has successfully created a wide world for its characters to inhabit. Viewers can rally along with the courageous Katniss. However, the destruction, violence, and themes of government-caused separation from family could make the Hunger Games series particularly difficult for kids who have been taken into protective custody. This film has a PG-13 rating, and the rating does seem like a good guideline. Most kids 13 and over might be able to enjoy the film without being overly distraught by the violence, and they could talk over their concerns with their parents. Kids under that age might have a rough time with this one. How did Katniss feel when she was separated from Peeta? How did she feel when she had been separated from her mother and sister in the first movie? Is it the same feeling, or are there differences? How can you tell whether it is worth taking a risk to right a wrong? 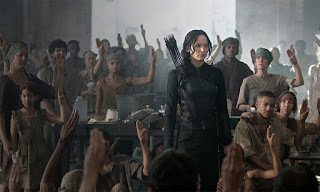 What makes it likely that Katniss will succeed? What does Katniss most want?